As you encourage your child to explore with sounds, pitches, tones, and rhythms; he’ll create his own music experiences. Making it a team effort and inviting other family members or friends to join also gives your child an opportunity to cooperate and build relationships. Create a family parade in which everyone adds a sound or voice into the performance. These experiences foster parallel playing, positive interactions, and team effort which lay the basis for future friendships and relationships. Listening to music, dancing to the beat of a song, or experimenting with musical instruments enable children to experience free expression and learn about themselves and their environment. 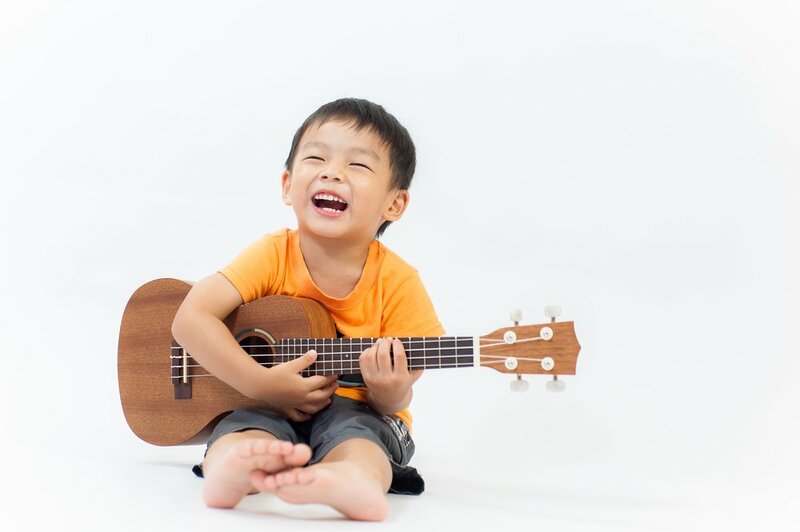 Playing songs from different cultures can also open up your child to develop a cultural awareness and validate the importance of where he comes from. Getting to know the different styles, rhythms, and melodies exposes him to other peoples’ experiences and nurtures his feelings of confidence and belonging to a culture. Cross-cultural studies continue to confirm that music is universal. All societies possess a distinct musical genre dedicated to children; whether is lullabies, humming, play songs, or parental singing. Music has been shown to have a positive effect on a child’s development. Parental singing has been shown to increase tolerance and the joy of the parents, fostering the closeness in the parent-child dyad and the optimal development of the baby. Incorporating music to the interaction between you and your little one will have an impact on his socioemotional development and lay the foundation for future relationships.